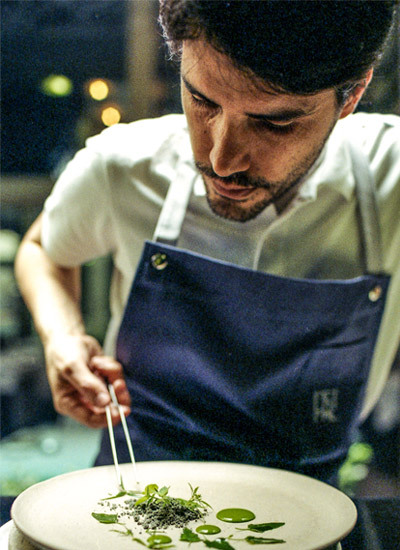 Chef Virgilio Martinez of Lima’s acclaimed restaurant, Central (No. 5 on the World’s 50 Best Restaurants 2017 list) was honored with the Chefs’ Choice Award at the annual 50 Best ceremony in Melbourne on April 5th. The award is presented annually to the chef voted on by his or her fellow chefs on the 50 Best list. Martinez is an ambassador of Peruvian cuisine, collaborating with chefs from around the world to spread knowledge of Peruvian dishes. The menu at his flagship restaurant Central in Lima features ingredients from the varying altitudes of Peru and showcases the country’s vast biodiversity and traditions. The dining experience at Central takes diners through a 17-course meal that includes ingredients from 20 meters below sea level to 4,100 meters above it. Many of the ingredients Martinez uses are a result of his sister’s research into ingredients of the Andes, Amazon, and Pacific. Martinez, still in his 30’s, continues to seek out new concepts and ingredients for his dishes, working closely with his wife and head chef Pia León and his sister Malena’s research project, Mater Iniciativa. In the works is a new restaurant in Cusco to be run in association with Mater Iniciativa. Martinez was recently featured in the Netflix series, Chef’s Table.